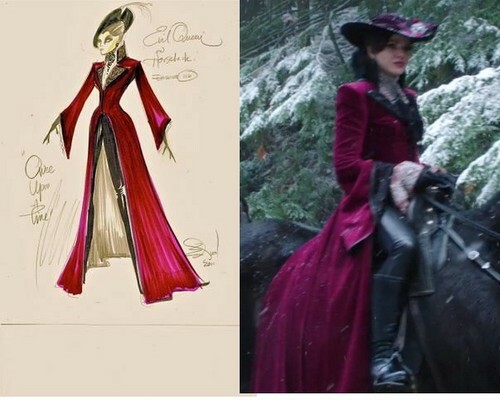 original sketch compared to the final product. . Wallpaper and background images in the La Méchante Reine/Regina Mills club tagged: once upon a time regina mills lana parrilla the evil queen season 1 outfit wardrobe dress heart of darkness 1x16. This La Méchante Reine/Regina Mills photo might contain polonaise, robe de dîner, formel, robe de soirée, formelle, kirtle, and rapporté.